A lifetime commitment spent inspecting the reasons and regions of art. Ugo Bortolin experiments every artistic language: visual (pictorial and sculptural), literary (poetic and narrative), musical. Paintings of Ugo Bortolin / Jbare can be found in canadian, french, british, polish and swiss collections, as well as in Italian collections. He donated to the Art Gallery of the City of Sassuolo (Modena) a painting on the size of 6 x 2 x 35 meters, entitled Human Apocalypse. Names and pictures of paintings are published in the journal of art QUADRI & SCULTURE, on the DIZIONARIO DEGLI ARTISTI CONTEMPORANEI 1995 of "Arte Studio (Florence)" and on the catalogue, english version, of the 1st BIENNALE INTERNAZIONALE D'ARTE di MALTA (1995). Critical essay by Renato Filippelli, with photo report, was published on the magazine n.17 of "Quadri & Sculture". Name and photos of works, with respective quotations, are also published in the 32th EDIZIONE DEL CATALOGO DELL'ARTE MODERNA MONDADORI 1997. He can boast the following opinion expressed by Federico Zeri: «...he is very original, even from a technical, and I like him very much...», about a portrait signed Jbare. Teachers of Ugo Bortolin were: Agata Tosti, Alberto Costantini, Antonio Mancini, Cristoforo Sparagna, Antonio Madonna, Antonio Sicurezza, Sergio Coppola. They wrote about Ugo Bortolin Jbare: Giorgio Agnisola, Vittorio Di Nola, Nino Fausti, Renato Filippelli, Carmelo Bonifacio Malandrino, Antonio Sorgente. Ugo Bortolin is a poet and a writer too. Prior to his latest novel - IL MALE DAL BASSO - he published the poetry collection IL VENTO NEL CANNETO. 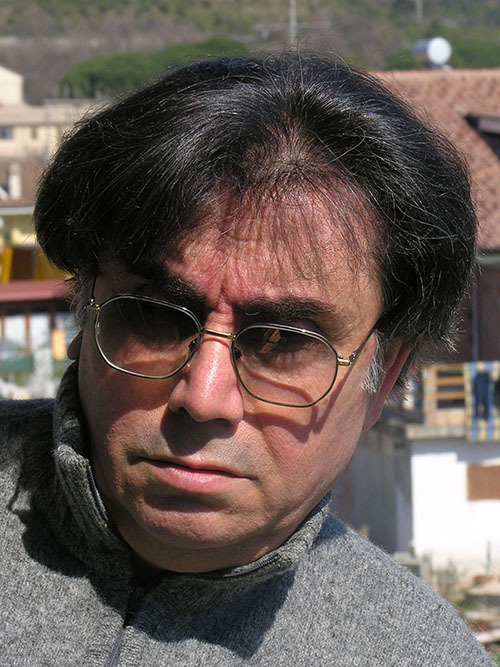 His poems have been awarded at the 3rd BIENNALE CASENTINO (AR), whose jury comprised: MARIO LUZI, president, PIERO BARGELLINI, ENZO CONTILLO, FRANCO LATINO, GINO MALAFARINA and VITTORIO VETTORI; at the National Award PORTICO DI ONOFRIO - CAMPODIMELE (LT) 1992; and at the National Award MIMESIS - GAETA (LT) 2001. His poems also appear in the anthology series POETI E SCRITTORI CONTEMPORANEI ALLO SPECCHIO of the publishing house La Ginestra (Florence). It is soon to be published a fiction (prose and verse poem): VOLO RADENTE (E PINDARICO). On YouTube there is the OUR FATHER video, set to music and arranged by Ugo Bortolin, which is heard and viewed worldwide. Biography and principal information on the contemporary artist. Check out the gallery of paintings. Explore the series and all the styles. Not only on canvas! See the gallery of various graphic techniques. Ugo Bortolin has investigated various art forms. See the works.